The Botanical Builder Framelit die can be purchased alone (140625), but also comes as part of a bundle with matching stamp set (Botanical Blooms) and matching Designer Series Paper ( Botanical Gardens) When you purchase the bundled stamp set with the designer paper and the Botanical Builder Framelit die, you save 15% off what they would cost if purchased separately. 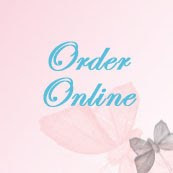 The order number for the bundle is 140819. I used sponge daubers to color the centers of the flowers with Pink Pirouette in and sponge daubers and then added a pearl to the center. 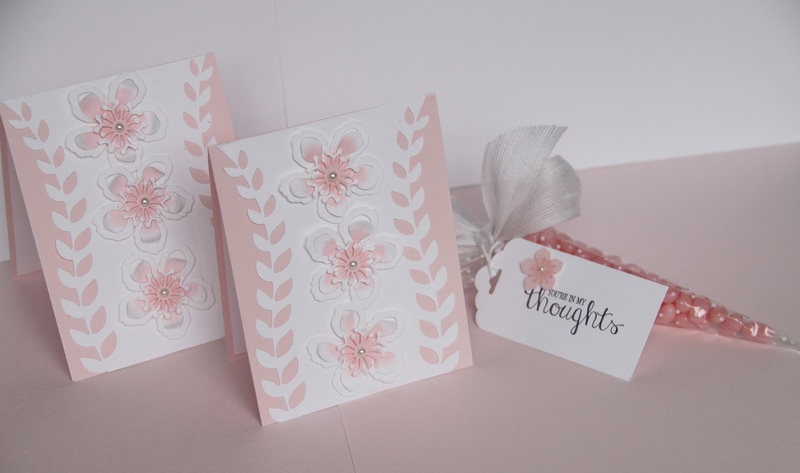 Accessories: Botanical Builder Framelit die (140819), Pearl Basic Jewels, Dimensionals, Big Shot Die Cutting Machine, Standard Cutting Plates, Magnetic Platform 130658. 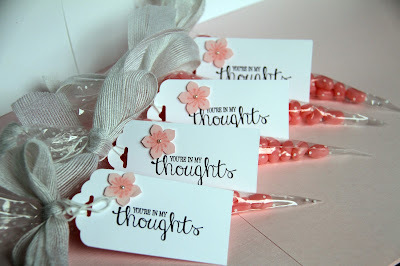 Sentiment and butterfly on the inside of the card is from the Best Thoughts hostess set (139234). 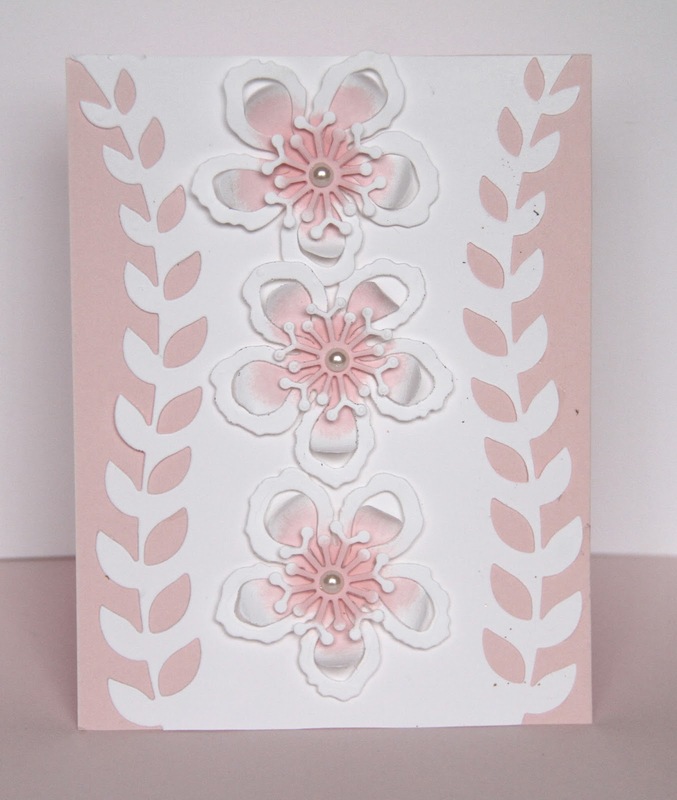 The flower is another die from the Botanical Builder Framelit die. 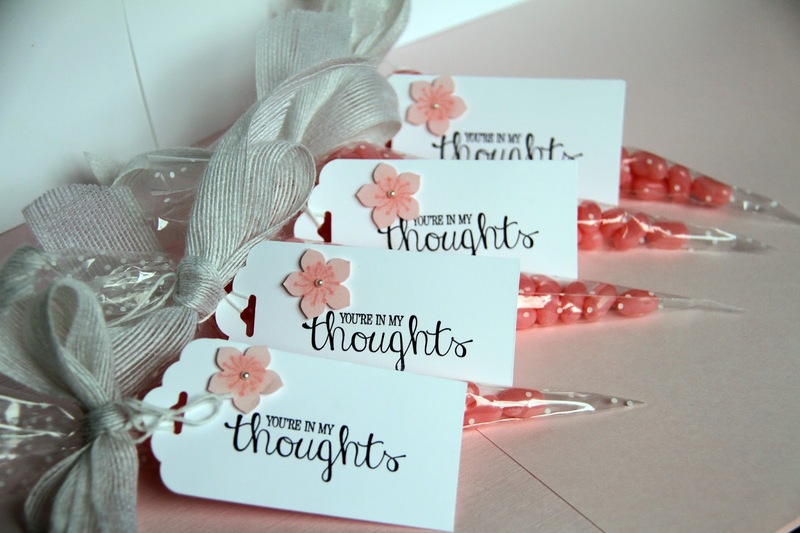 I love sending a few treats when I send a handmade card. 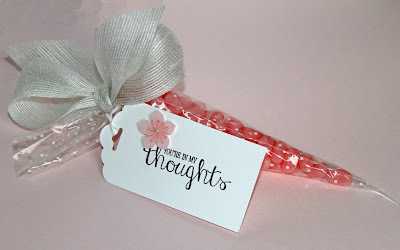 Here's what I made using the Polka Dot Cone Cellophane Bags (140578) from the Occasions catalog. 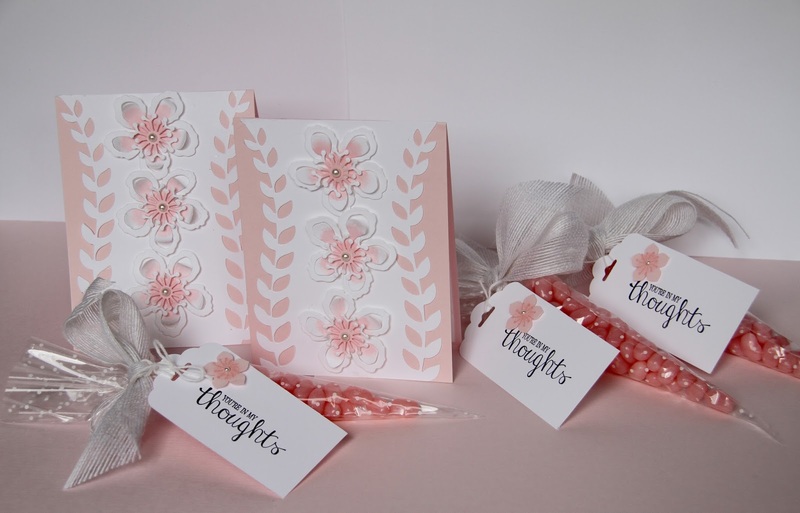 I used the same sentiment stamp from Best Thoughts hostess set (139233) as I used on the inside of the card. The treats are tied with White 1-1/4" Jute Ribbon, which can be purchased until May 31 or until gone...one of my favorite ribbons from the current Stampin' Up! catalog. 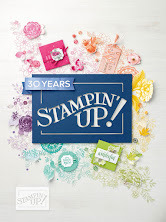 Last Monday, April 18, Stampin' Up! announced the retiring list. 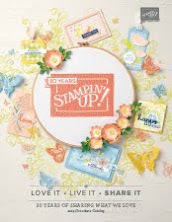 Retiring products are going fast, including some of my favorite ribbons! Accessories are only available while they last. Pick up some bargains as some retiring products are discounted up to 50%. Last Monday the servers were overloaded and some of you had trouble getting into the site to see the lists and place orders. Things are working fine now, and we apologize for the inconvenience. Demonstrators already have the new catalog and you're beginning to see sneak peeks from the new catalog all over the web. This week I'm placing my bulk order for new catalogs Customers who have placed an order this year are already on my mailing list for new catalogs. 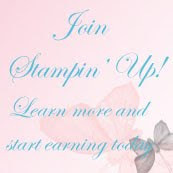 Place a $50 order this week and I'll place your name on my mailing list for a new catalog. New catalogs will arrive in May and new orders can be placed in June 1, 2016.